Somewhere in the distance people were yelling, and some great cylinder of compressed air was being let loose in one large hiss… I struggled to open my eyes, resisting reality as it poured in in all it’s early morning bus station splendor. We were in our semi-reclined seats on the overnight express bus to Malacca, and our destination was waiting in the gray smear outside the condensation covered windows. “You sir! Hello SIR!” It was time to get up and deal with reality. So we did. The bus was empty, and our things had already been unloaded, waiting for us in a lonely pile in the middle of a vast bus station. We contemplated our situation for a moment before energy finally began to trickle into our systems, and we perked up enough to negotiate a cab to the Hotel Puri. We unloaded our belongings from the cab as the sun was begging to rise, and lugged them into the very ornate Chinese hotel, promptly falling into bed for another four hours of sleep. We could resist her no longer, so we took to the streets. We breakfasted at a joint advertising 13 different kinds of Malay coffee. How could we refuse? Many of them proved to be variations on the same theme of frying the coffee in butter sometimes adding spices during the process, and all we tried proved delightful. Our first waypoint was the bus station where we needed to buy a ticket for the nest day’s entry into Kuala Lumpur. Despite our fears that the impending Chinese New Year would result in a run on the market for bus tickets, we were able to acquire a couple of tickets with little difficulty. My $3.00 sunglasses from the AM/PM in Redwood City, California had finally bit the dust, snapping in my hands during a routine removal. I yearned for our forthcoming Maui Jims but knew that eye protection on the road would be very important during the interim. So I purchases a pair of knock off wayfarer style sunglasses and we hit the road. We pedaled hard into the city. Malacca proved very nice for wheeling, not too difficult to navigate, with slightly lighter and more accommodating traffic compared to Penang. We were staying in the older Chinese part of the city, and after exploring that for some time, we made our way through the more British looking Imperial section, and finally out into a section of sprawling malls and shopping centers. There was something odd and indescribable about Malacca that made it quintessentially Malaysian for us. Was it embracing its colonial heritage or resisting it? Both. Was it embracing the new commercial forms or restoring the traditional? Both. Was it accommodating to bicyclists, or were the new flyovers thwarting our navigational efforts? Both. Our stomachs rumbled and distracted us from these contradictions. Stopping in one of these shopping centers for respite, we munched on an ambiguous sweet round bread that had come straight out of the oven. We had barely the time to get back to our hotel and compose this bit of correspondence to you, dear reader, before we once again took to the cycles, this time in search of a much fabled rock and roll cafe by the name of “My Rock and Roll Blues Cafe.” The joint was owned by an old friend of Scott’s father’s and we were quite thrilled to meet this fellow and learn a little bit of his story. Darkness fell as we cycled through the city in search of the rock and roll bar, which was a moderate distance from our hotel. We found ourselves poured onto large multi-lane roads, only lightly trafficked, mostly by young Malaysian men riding in modified small cars, sporting custom wheels, paint jobs, and sound systems. We were nearly killed when one of these fellows, spotting a car full of young women, pulled a sudden reverse, tearing backward into our path, and whipping his car around to pull alongside the lovelies for a chat. Kids these days. We were plenty sweaty and hungry when we finally pulled up to My Rock and Roll Blues Cafe. The owner was there to meet us, and graciously invited us inside. “Johnny Coma” is originally from Maryland, where he and Scott’ sfather became pals. He made the entry into Southeast Asia during his youth when he got a job through his father, working for a Belgian munitions firm, selling, as I understand, shells to government militaries in Malaysia, Pakistan, and Korea. Two weeks after arriving in Malaysia, he fell in love with a Malay woman and soon they were married. He converted to Islam in the process, and worked for a while longer in the arms business before he began to yearn for a more enjoyable lifestyle. He quit his job and opened a small hotel with his wife, with a few rooms and boat tours to the surrounding islands. It sounded quite idyllic, until his marriage ended and he lost the hotel. The rock and roll cafe was then his second foray into the hospitality industry, and as our burgers arrived (large juicy patties, with all the fixings, plenty of French fries, and good mayo to dip them in), he began to explain more about his work here in Malacca. He not only played with his band at the rock and roll bar, but worked closely with the local government and business community to organize concerts and events int he city. Johnny also ran his own kind of Malacca School of Rock in the upstairs of the restaurant, where he also ran a little gear business, selling custom drum sets to the rock and roll community in Malacca. 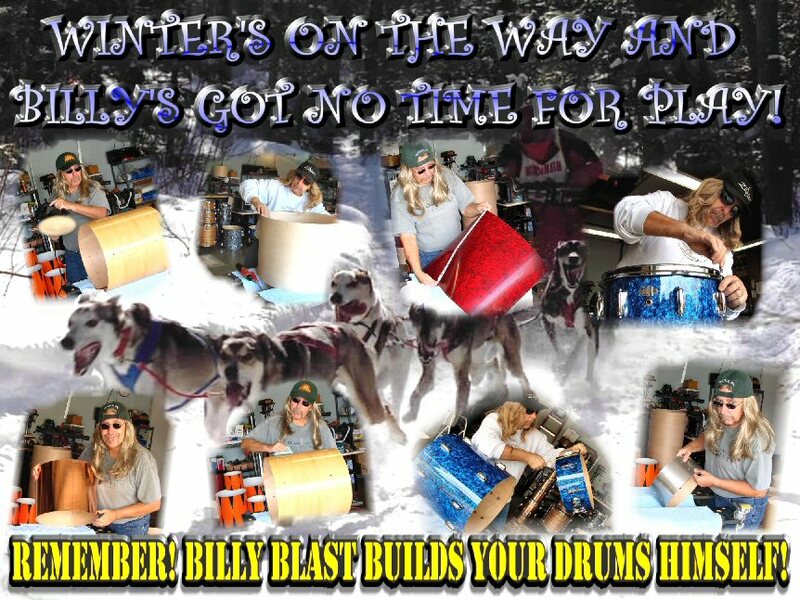 Many of these drums are produced by Billy Blast, with whom Johnny has partnered to produce graphic design services. Needless to say, we were impressed. This man had found quite a lifestyle for himself in this beautiful city. Our time at the cafe was enjoyable, and his story was an inspiration. On AsiaWheeling, make it our business to study local entrepreneurs, and we have found them to operate on a spectrum between two poles. At one extreme, are those who are in search of profits and scalability, innovation and advancement, we might call one of these a growth-based entrepreneur. On the other hand, we have met many many people one might call lifestyle entrepreneurs. These people start and run businesses that allow them to pursue the lifestyle they desire. The earnings of the business provide the means for an enjoyable lifestyle, but it is the operations of these businesses that keep the owner engaged and fulfilled . Johnny falls squarely into this second group, and let me tell you, dear reader, he makes it look like a lot of fun. This entry was posted on Sunday, February 28th, 2010 at 6:42 pm and is filed under Asia, Malaysia, Scott, Wheeling, Woody. You can follow any responses to this entry through the RSS 2.0 feed. You can leave a response, or trackback from your own site. Wow, Woody, you have a great instinct for the uke, and a good voice. My repertoire is only about 5 songs. I enjoy your blog a lot. At Babson we sometimes talk about opportunity-based entrepreneurs and necessity-based entrepreneurs. The US economy has driven a new set of the latter in the last 18 months. IN many places around the world it tends to dominate. Thanks, Tim. You’re too kind. Thanks for this comment. Thinking of those we called “lifestyle” entrepreneurs as “necessity-based” entrepreneurs adds in interesting dimension to the observation: namely that for some the venture is a means to an end, and for some the the means (the venture) is seen to justify itself. During this trip, in particular, we’ve find those who found businesses in the hospitality sector (especially if they are foreigners) tend to be lifestyle and therefor necessity-based entrepreneurs. I wonder: what the real correlations are between the types of businesses people start, and whether they are seeing the project as capitalizing on an opportunity or as a means to an end? Of course I noticed the cutaway on the uke right away, and wondered whose axe that was! I assume that was Johnny’s–the one you mentioned noticing. Also, Johnny (did he introduce himself as Mark?) and his business remind me somewhat of your uncle Kurt and his ill-fated volleyball store–making a living (mostly?!) but doing what you love along the way. Yep that was Johnny’s axe. A real nice one that he had recently picked up for a song. Good taste, that guy. Okay, I’m getting caught up here, but I’m sure Johnny Coma is having more fun than Kurt did running (?) that volleyball store. At least the scenery is much better. Perhaps Kurt should have spent some time in the “munitions” business prior to opening the volleyball store. That might have given him some financial cushion prior to his foray into the entrepreneurial world.